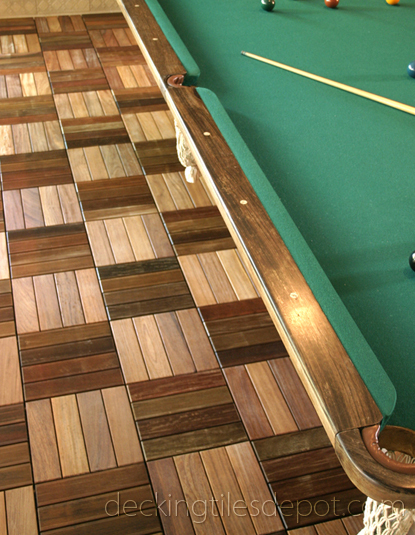 Decking Tiles Depot sells wood-backed hardwood tiles throughout the United States and across the world. With direct shipping from our mills to your jobsite, choosing us gives you instant savings on both your order and installation time. Our commitment to customer service is a major reason why contractors and builders choose us. We have professionals on hand who know all about the deck building process. After your order is placed with our courteous staff, you'll have confidence knowing that your deck tiles order will arrive on time so you can get started right away. We routinely inspect our processing facilities to ensure that - from harvesting to milling, and every step in between - each deck tile you order is 100% compliant with all international and federal trade laws such as the Lacey Act. In addition, each plank of hardwood that is used to create our wooden deck tiles has originated from forests managed by the Brazilian government agency known as IBAMA. The combination of private and public oversight ensures you get a natural, durable, and reliable product that wasn't clear cut or procured through non-sustainable means. Learn more about Decking Tiles Depot, when you contact us directly.